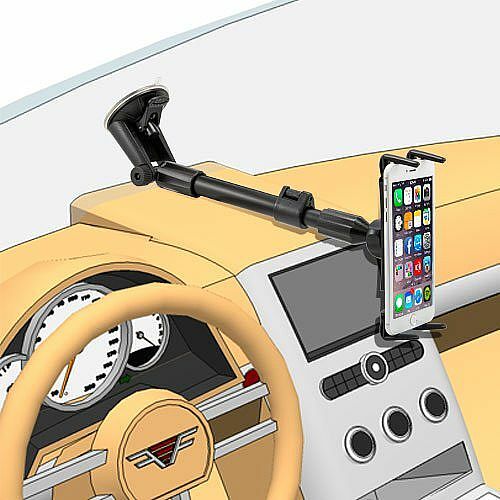 The SM6-CM117 long arm extension windshield suction car mount is ideal for use with smartphones up to 6.75” tall (8” screen size), including the iPhone 6 Plus, iPhone 6, 5, 5S, 5C, and 4S, Samsung Galaxy S6, S5, S4 and S3, Galaxy Note 4 and Note 3, LG G3 and G2, Nexus 6 and Nexus 5, HTC One M8 and One Max, Droid MAXX, Amazon Fire Phone, Nokia Lumia 1520 and 1020, Motorola Moto G and Moto X. It also holds midsize (7” or 8” screen size) tablets, including the iPad mini, Galaxy Tab S 8.4, Galaxy Note 8.0, Galaxy Tab 4 or 3 7.0 and 8.0, Galaxy Tab Pro 8.4, Kindle Fire HD, and Google Nexus 7. 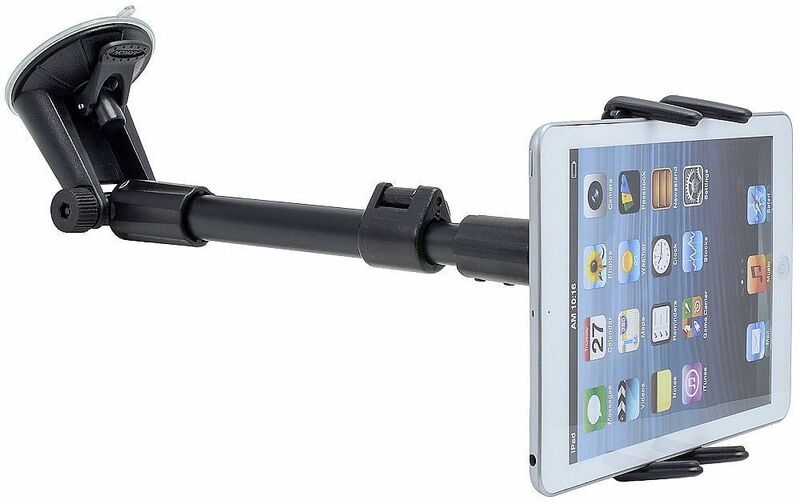 This mount includes Arkon’s Slim-Grip Ultra Universal Smartphone Holder and a Rigid Long Extension Windshield Suction Pedestal with Telescoping Arm. The suction pedestal installs easily to the windshield. Simply hold the base against the mounting area and push down on the one-touch lever. 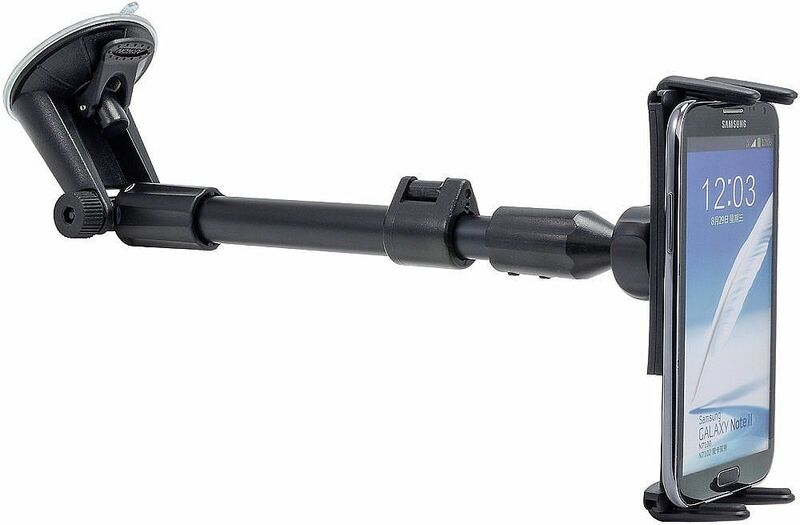 The sturdy telescopic arm of the pedestal extends from 14.5 inches to 18.5 inches, keeping the smartphone or midsize tablet within easy reach. The top and bottom adjustable-leg design of the Slim-Grip Ultra Holder helps keep any side buttons and ports unobstructed, making it ideal for use with the side accessible buttons on the Samsung Galaxy S6 edge or Note Edge. 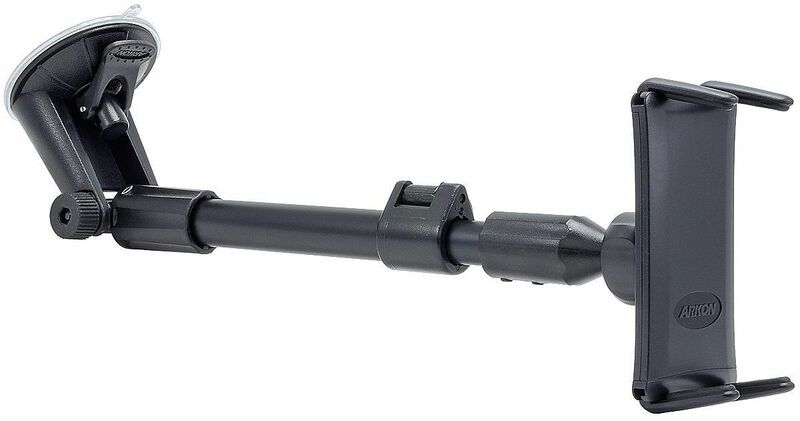 The spring-loaded holder expands to accommodate all devices, even those with skins and ruggedized cases. Included with the holder are 8 support legs (4 short and 4 longer versions) that can be customized based on device size. 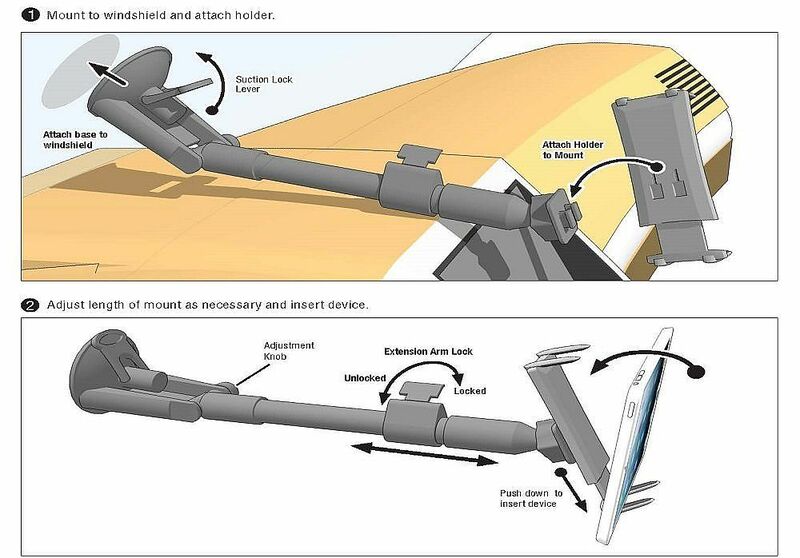 For most devices, the best mount holder configuration is to attach 2 short support legs on top and the 2 long support legs on the bottom of the holder. For devices taller than 5.25”, use all 4 long support legs on the holder. For smaller devices, use all 4 short support legs on the holder.